I can’t believe its already December. Nothing makes you stand out from the crowd more than a flash of pink Coconuts earrings. Designed in new York, handmade in Mumbai, these statement pieces are a beautiful addition to any wardrobe.Feeling Inspired? Elevate your look with statement pieces from fine Sachin & Babi gorgeous designed earring collections. Statement earrings are having a major moment and this is a trend we can definitely get behind! 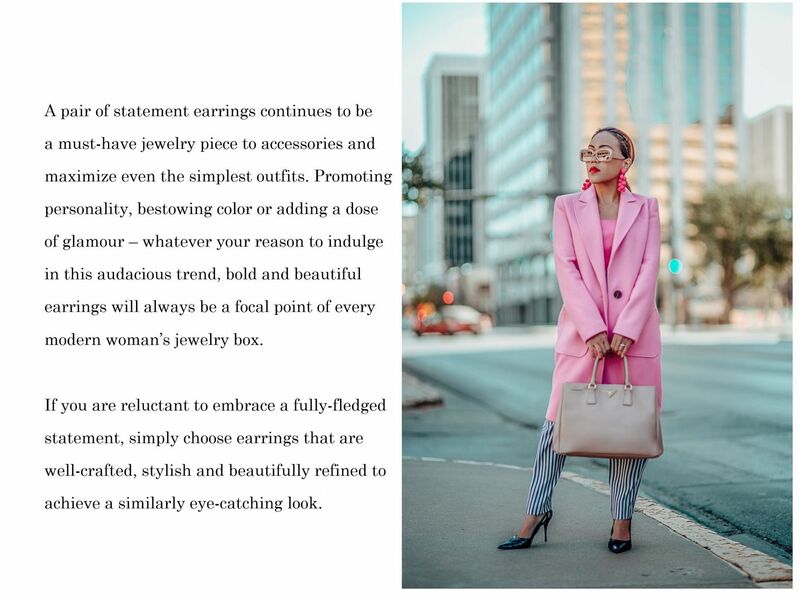 With all kinds of cool styles ranging from geometric shapes to updated gold hoops and super avant-garde styles (think Picasso-esque faces and tassels worthy of only the most ornate window dressings), there are a million ways to wear statement jewelry. Don’t forget to check out Sachin & Babi collections. They are absolute must- haves this season. This is a sponsored post brought to you by Sachin & Babi. The opinions are completely my own based on my experience. Previous Post Affordable Outerwear: LET ME TELL YOU ABOUT MY LOVE FOR CHICWISH! I have been all about the statement earrings lately. They add so much fun to an outfit!! 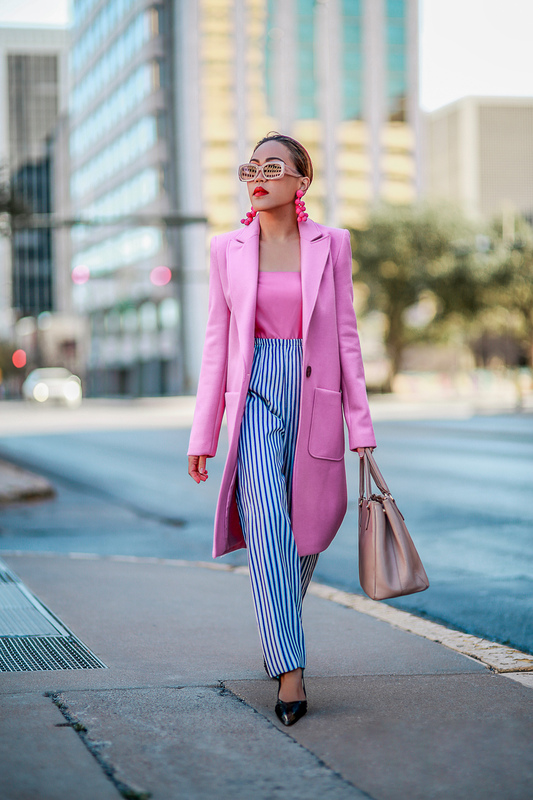 Wow, such gorgeous earrings and I love how you styled them with the pink coat and striped pants! I love statement earrings, they just add so much more to an outfit and can totally dress them up. These earrings are so fab and I like all the ones you picked. Sachin & Babi have amazing options! You look stunning Len! Love this outfit and wowww your earrings are such a statement piece! LOVE it! Can we talk about how stylish you are?!!! I love your style, Len! Those earrings look so unique and the pop of pink makes such a great standout! 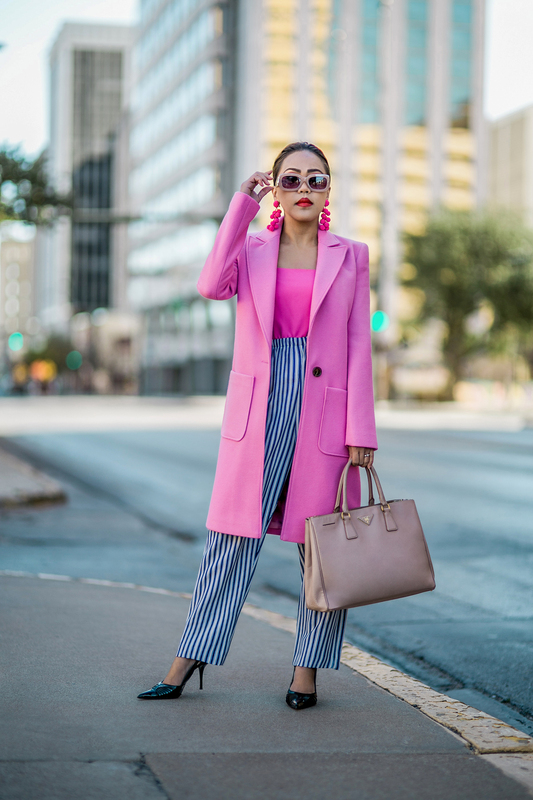 You look is spreading all the pink vibes, totally love it. These earrings are fabulous! 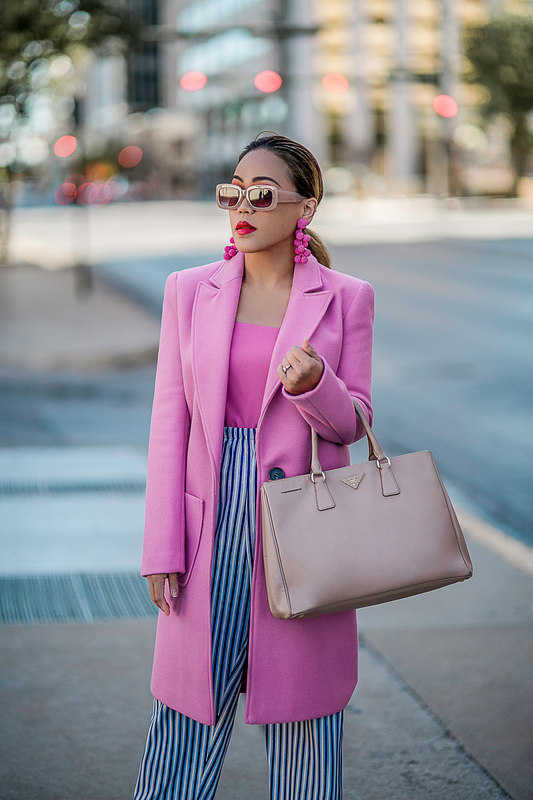 Loving this chic coat as well. Amazing looks Len! You always look so fabulous in pink Len! I love your statement earrings, so bold and chic! Those earrings are everything!! So so gorgeous and the perfect color. These are absolutely stunning and I love your whole outfit! I definitely need a pair of statement earrings! Oh my, all of these earrings are so fabulous, I love the pink rectangle pair! Looking so pretty in pink! Gorgeous look! Len this outfit is gorgeous and those earrings are spectacular darling! I really love theses pink shades ! Such a great styling like always. Gorgeous ensemble, super edgy and sassy! I absolutely love this look on you dear.